Closing Date: until suitable candidate is identified. To apply: Application materials required include: a cover letter, an ABAC faculty application, a CV, and the names, addresses, email addresses, and telephone numbers of three professional references, and unofficial transcripts from all academic institutions attended. Application materials are accepted via abac.hiretouch.com (except transcripts; which may be submitted via secure transmission from the higher education institution). All offers of employment are contingent upon the results of a background check. Abraham Baldwin Agricultural College (ABAC) announces a nationwide search for a new Department Head and Associate/Professor for the School of Arts & Sciences: Department of Rural Studies. Anticipated start date is August 1st, 2019. 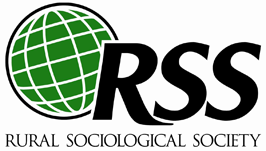 The newly formed Department of Rural Studies seeks to hire a Department Head with an open rank (Associate/Professor) and a specialty in Rural Sociology, Rural Psychology, or a related Behavioral Sciences expertise. Preference will be given to a faculty member who can teach in an area of need such as: Consumer Economics, Community Health, Community Development, Public Administration, or Rural Sociology. The successful candidate is expected to help build and guide the department that currently houses a BS in Rural Community Development, which has tracks in Social and Community Development and Community Health. The Department includes faculty in the disciplines of Sociology, Psychology, and Criminal Justice, and has the potential to expand.